Nortel provides a contained SONET transport offering with its TransportNode platform that has capabilities and configurations to support nearly any network environment or deployment. SONET supports your functions while adhering to the needs of today’s leading and highly customized networking topologies. Plus, you’re getting support for tens of thousands of installed networking elements already in the wild. The Nortel S/DMS TransportNode is expandable to move from local exchanges and carrier inter-exchanges to high-volume utilities and multimedia operations. As well as many more deployments. Nortel has been providing significant flexibility to meet the unique demands of individual applications. It gained ground with the first industry-wide solutions for OC-48 and OC-192 capabilities and also developed some of the first wireless options to handle isolated nodes for when no fiber is readily available. Worldwide Supply still works to deliver the best refurbished Nortel TransportNode equipment to operators and service providers, because TransportNode remains a viable option for many networks. Today, this Nortel family still powers short-haul and long-haul trunking, virtual supercomputing networks, consolidations and all-optical deployment support. 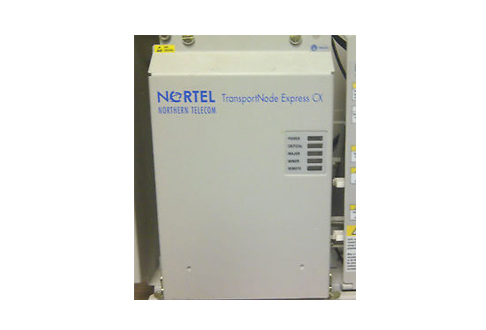 When customers need one package to handle the grooming, segregation and transport of millions of calls, delivery of leading video applications or to build out the backbone for private computing networks used by defense contractors and educational institutions, we provide fully certified and warrantied used Nortel TransportNode gear. Discover the benefits you can experience with up to 30 Gbps capacity — including mixed rates and schemes — with linear, ring and interconnected configurations that deliver complete SONET functionality on any of your uni- or bi-directional services.